“We are currently preparing ‘strategies to enhance and to expand ICT (Information Communication Technology) industry’ so that we can enhance our competitive edge in ICT industry and contribute in innovative growth of our economy.” said Vice-Minister Lee Ho-seung of Ministry of Economy and Finance (MOEF). 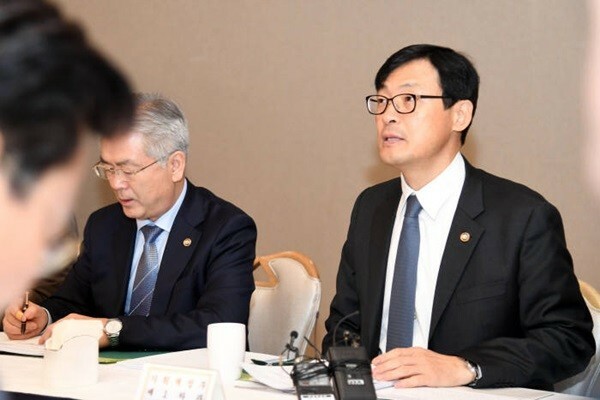 “Our status as ‘IT Korea’ is facing challenges due to reduction of exports related to ICT, skewed importance on semiconductor, and slow progress of rising nations including China.” said Vice-Minister Lee at ‘Second Innovative Growth Strategic Examination Meeting’ that was held at Government Complex-Seoul. “We are going to actively look into enhancing personal credit evaluation system and systematizing my data to use excellent public information while protecting personal information.” said Vice-Minister Lee.